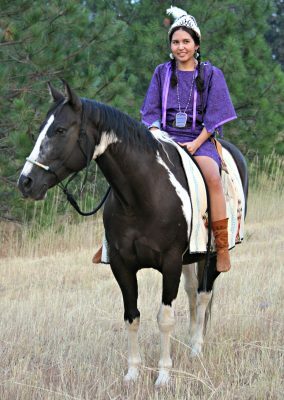 Raised in Omak, WA, on the Colville Reservation is my Change of Heart cover model, nineteen-year-old Shayna (pronounced Shania) Ann Palmanteer. 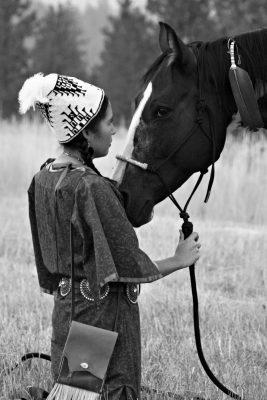 She is currently a student at the Inchelium Language House on the reservation––a young woman on a path to self-discovery. 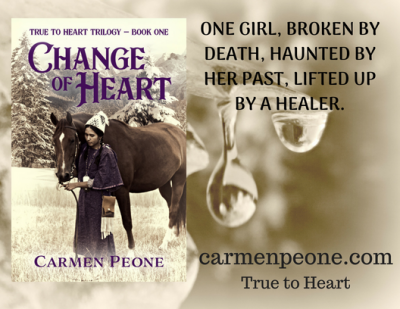 Not long ago, I found myself on a journey to find a model for the cover of the remake of my very first book, Change of Heart. Through my adopted-by-love Navajo daughter, who also works at the language house, I was introduced to and teamed up with Shayna. Shayna’s mentor and best friend is her sister, Monique Bourgeau, who if we look close enough may be a relation to my husband. What a tender surprise. Monique holds an AA from Wenatchee Valley College and is a beautician and teacher of Nselxcin (Colville-Okanogan Salish) at the language house. Shayna’s mother is Cindi Williams. Her father, who passed away at the age of 35, is Eddy Palmanteer III. She was nine-years-old when her dad left this earth. Her grandmother is Mary Ann Palmanteer and her grandfather is Eddy Palmanteer the II. 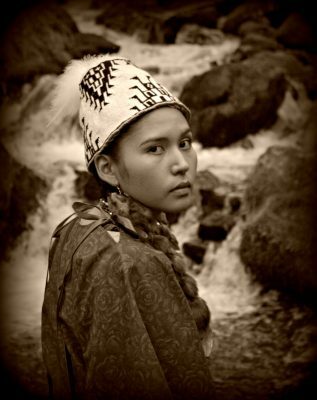 Shayna followed her sister to the Inchelium Language House and has been there for two years. She plans on getting her GED and going on to college. “I’m interested in going to Northwest Indian College.” Where a cousin attends and will graduate with a BA this December. “My family is what got me through after my dad passed.” Shayna gave me a small smile, her rounds eyes soft. 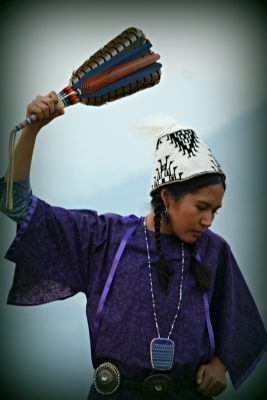 The death of her father has not seemed to hinder her maturity and growth as a Native young lady. Quite the opposite, in fact, as she displays a quiet strength. Even at her young age, Shayna is learning she has a voice and is beginning to use it. She and Monique travel as activist Indigenous women on issues concerning climate change, Washington Women Can, and No DAPL Movement (Dakota Access Pipeline). Elders are more than happy to sit with her as she learns the language, culture, and history. To Shayna, “Language is a must.” She doesn’t know any other person her age who is learning her Native tongue on a fulltime basis. As a young girl, she spent most weekends with her Grandmother, Mary Ann, who she is named after, while her mother, Cindi, tackled college classes. 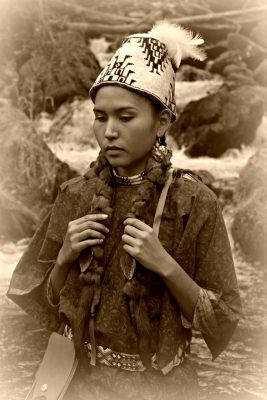 Women are honored matriarchs in the Salish culture and that is exactly what has been passed down from generation to generation in the Palmanteer/Williams family––strong women who carry themselves in a respectful manner which honors their people. “My grandmother is a real sweetheart.” Shayna’s face glows at the mention of the Colville-tribal woman. Not having been there when offered, I asked Shayna what her first reaction was when her sister mentioned the modeling prospect for Change of Heart. Her answer? “No!” And went on to explain that she rarely even posts on Facebook. But Monique enlisted her sister because she knew Shayna was the perfect young woman to represent Spupaleena, the book and trilogy’s main character. And Monique was right, her sister was the perfect fit – like an arrow to a bow. During the second photo shoot at a nearby creek (the same one Spupaleena often visits in the trilogy), Shayna made movements the same as Spupaleena does in the book, like clutching her braids. In the end, Shayna admitted she had a lot of fun. Shayna and Buck, A new bond formed. One highlight of the first photo shoot, and possibly the biggest highlight of both shoots, was when Shayna’s face lit up once on top of my Paint named Buck. It was the first time she’d been on a horse. With no experience, Shayna was a natural and “felt comfortable” around Buck and Cash, her fellow models for the trilogy’s covers. Shayna answered, “It’s awesome! 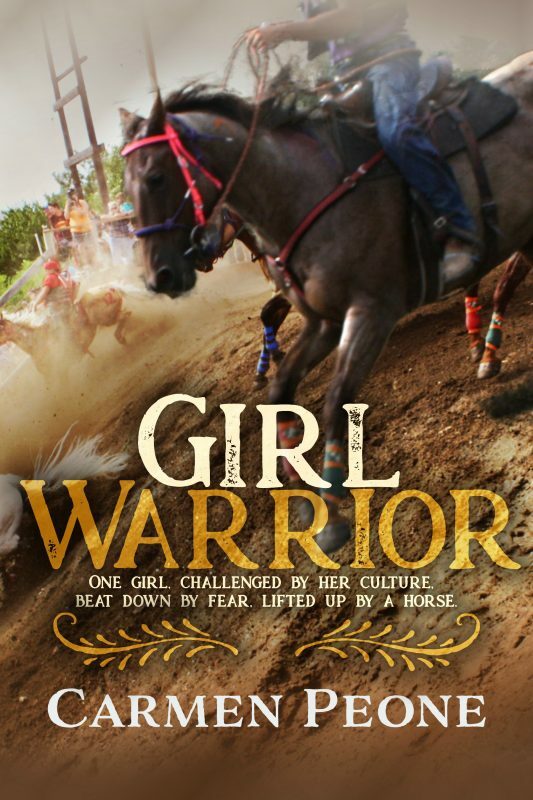 Because they (the books) are based on this reservation with our language in it and having a Native woman going for what she wants and not allowing no one to hold her back.” Not only does that describe, Spupaleena, but I’ve learned it also defines Shayna Palmanteer – a young woman who knows the path she’s on and has the courage to take it. included. Her net needed repair. her shoulders. She rubbed her neck, winced at the pain. and she twirled around, smiling. Don’t miss out! Order Change of Heart now. I can’t wait until I can buy the book. I’ve enjoyed all the others. And you couldn’t of picked a better model. Now I can picture her as I read your book. Thank you, Penny! She is so realistic. I’m tickled. Dignified is the best word I can find for this beautiful young woman. And the photographer knew how to draw out her pensive nature and her quiet approach to her surroundings. Lovely. Judith, you nailed that word, dignified. Love it. And thank you, I am the photographer. I appreciate your kindness. The model fits your story. I met you at the Palouse Writers’ Conference and learned from yoour informative workshop. Thank you, Hemlata. I remember you and it was a pleasure to meet you! Thank you for your feedback. I appreciate it. I will tell Heidi and Mary hello from you. She’s a beautiful girl and it’s wonderful she’s learning the language of her people. I’m finding this is a rare thing among Native youth. Linda, it is rare. So many are working to try and keep their Native language alive and too many don’t want to commit. The Salish language is beautiful to speak and listen to. It’s a hard guttural dialect. I’m thrilled she is committed to it, her and her sister. I agree–a perfect fit in every way! Mary isn’t she fun? Cute! and Just as sweet.